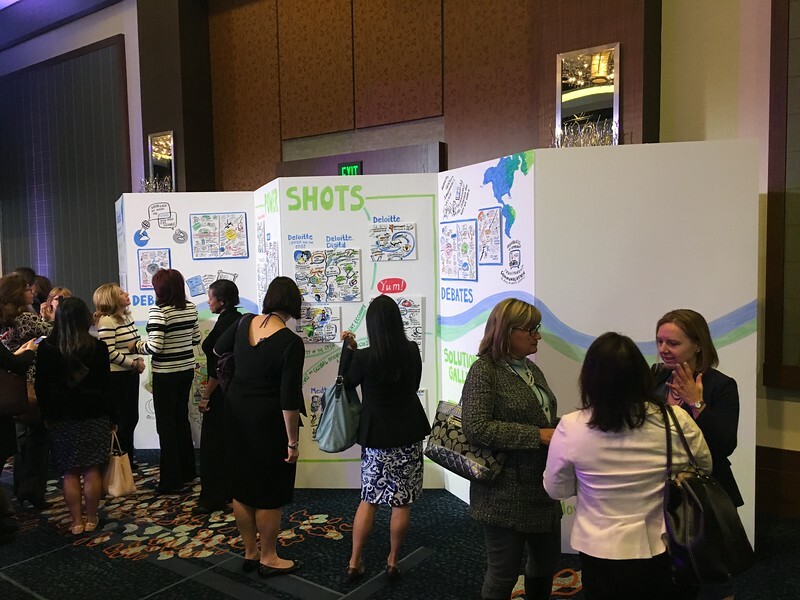 ImageThink's work at conferences, tradeshows, and strategy sessions means attendees are more engaged with the content. Etc. 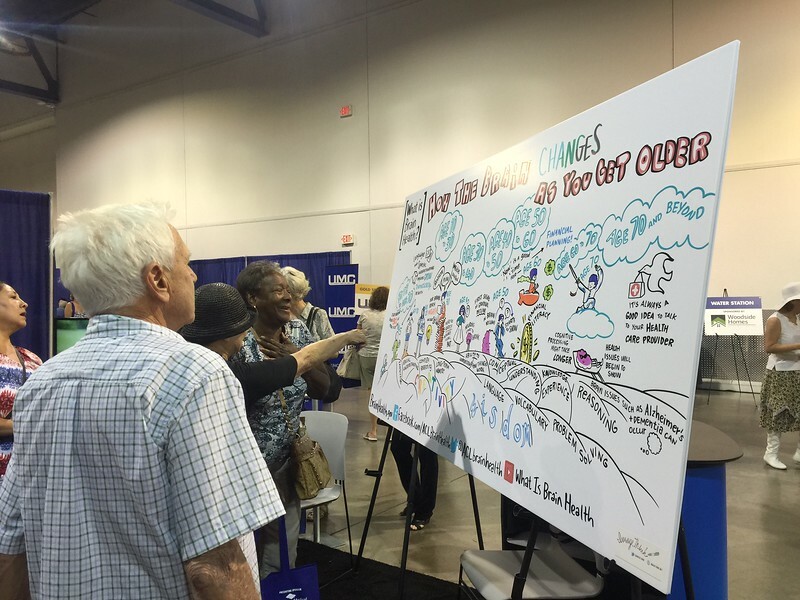 Participants interact and engage with ImageThink's work. imageThink captured business pitches at TechCrunch. 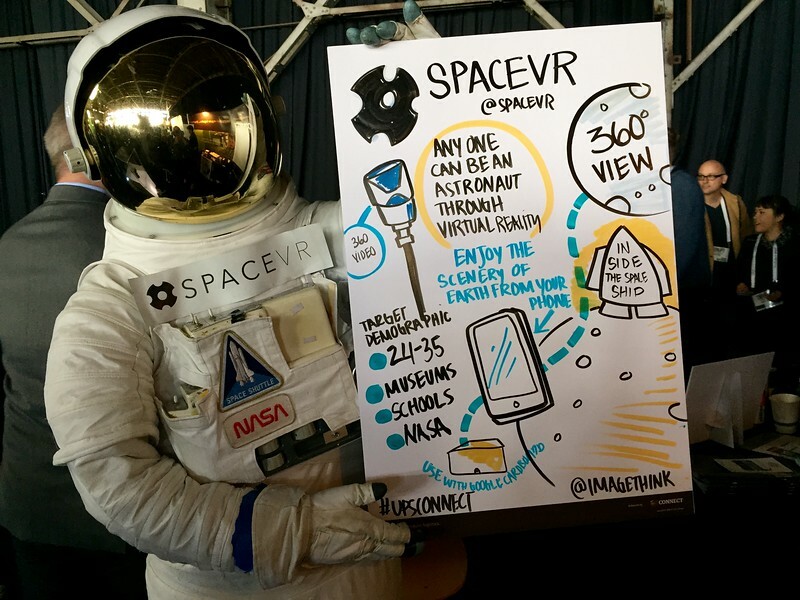 A participant astronaut holds up one of the visualized pitches. 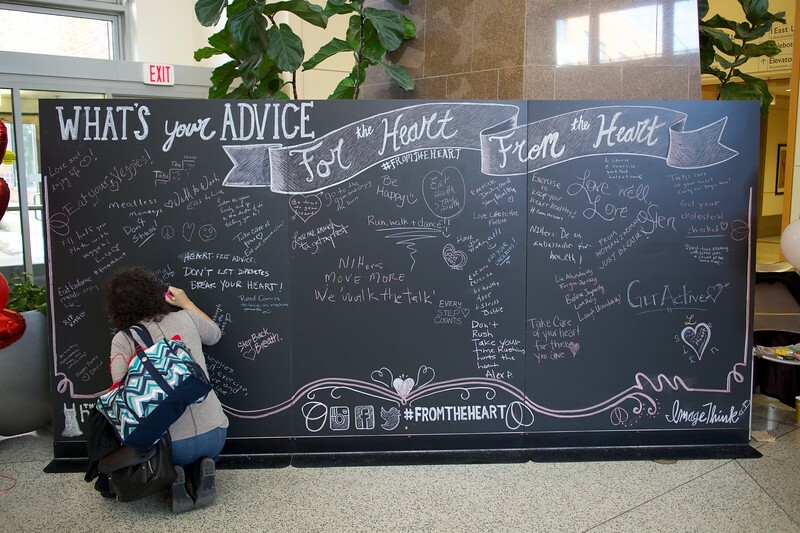 ImageThink and attendees captured the collective advice on heart healthiness, creating a large mural for people to see, interact with, and be inspired by. 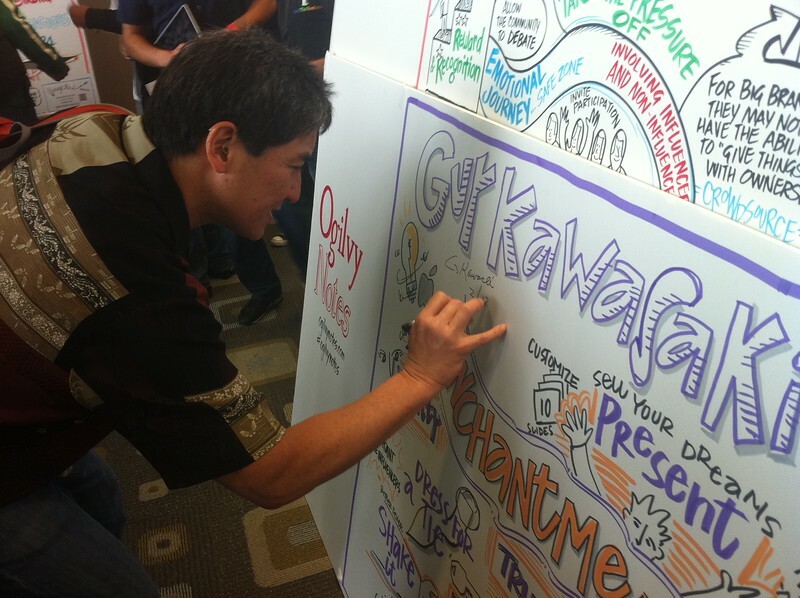 Guy Kawasaki signs ImageThink's visual capture of his keynote speech. Participants take photos of small boards on a larger accordion wall. ImageThink added these small boards throughout the two day conference. Participants love looking at their input captured by ImageThink. 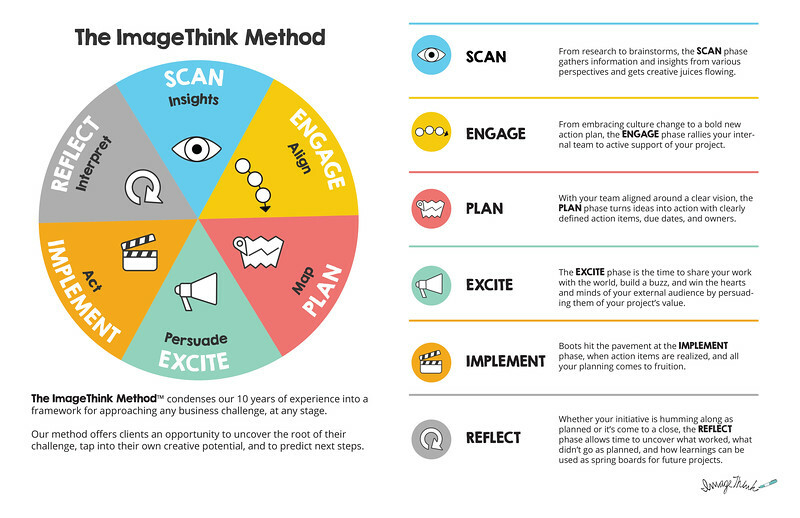 It serves as a record of thought throughout the event and helps participants feel as though they were able to contribute to the success of the event. 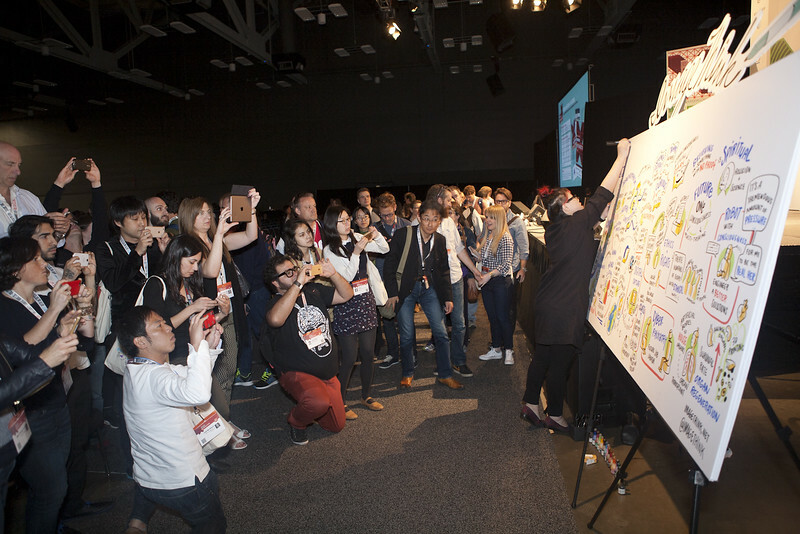 ImageThink puts the finishing touches on a large board at SXSW 2015 while conference attendees all cram to get a closer look at the engaging content. 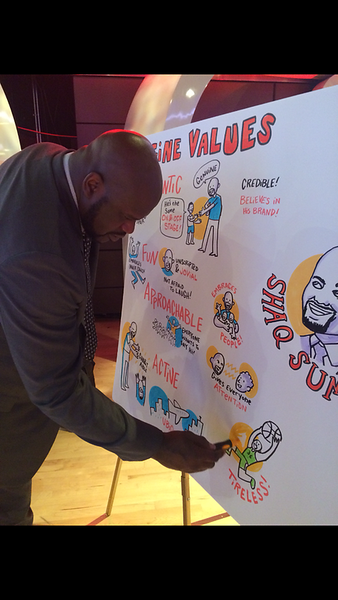 Shaquille O'Neal helps to fill in some color on a board ImageThink captured. Thanks, Shaq! 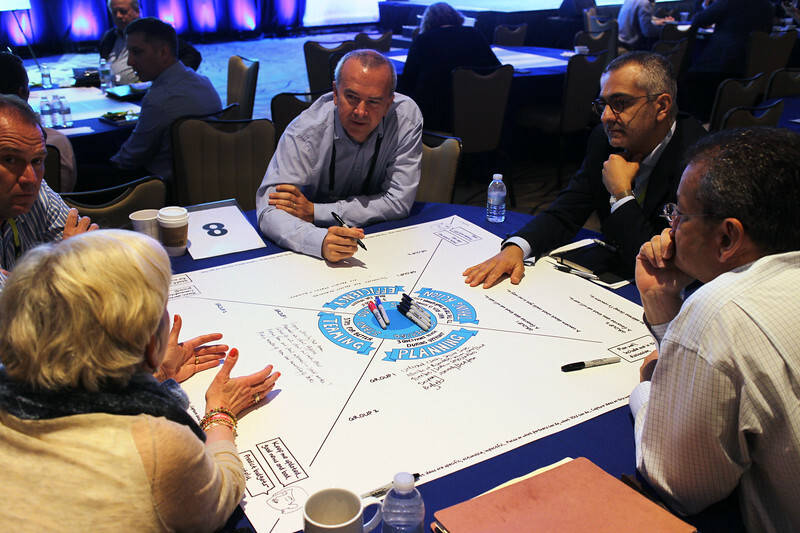 Participants use a template to plan out and organize their thoughts. 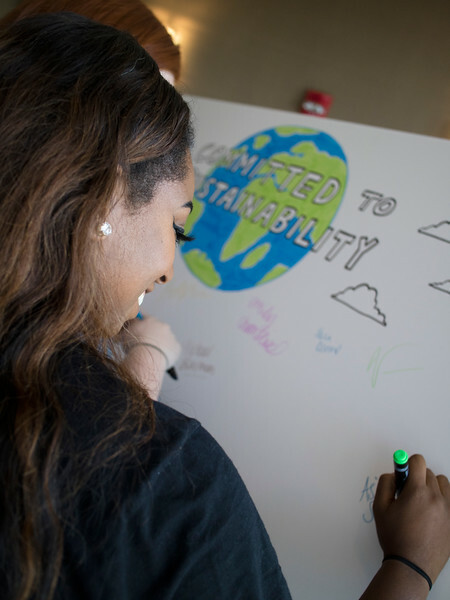 A participant signs her name on an ImageThink board to show her commitment to the sustainability cause.